This is a wonderful tropical tasting dish actually we had in Hawaii when we were there. 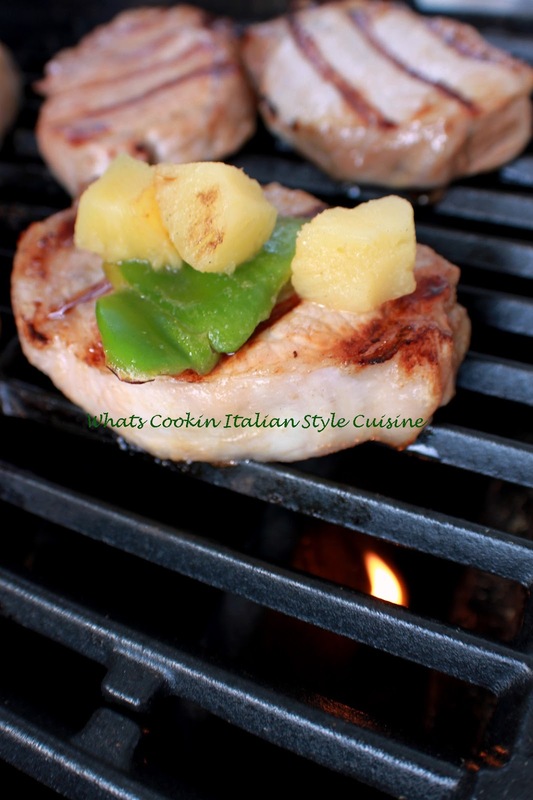 The pineapple and peppers along with this amazing marinade for these boneless pork chops are drool worthy and you won't be able to wait when you smell them cooking to eat them. I just love this recipe. I recreated it best I could and it really is almost exactly what we remembered! 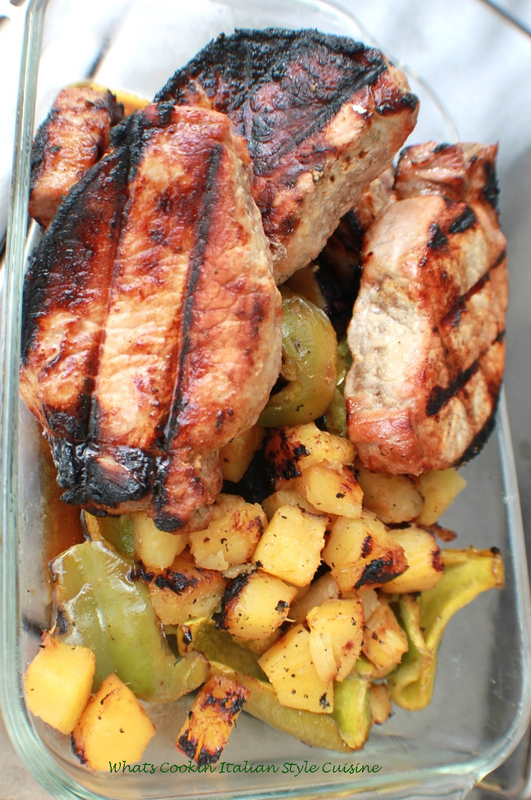 Place the pork chops in a large covered container with all ingredients except peppers and pineapple cubes. Marinate around 6 to 8 hours. Heat grill to medium heat. 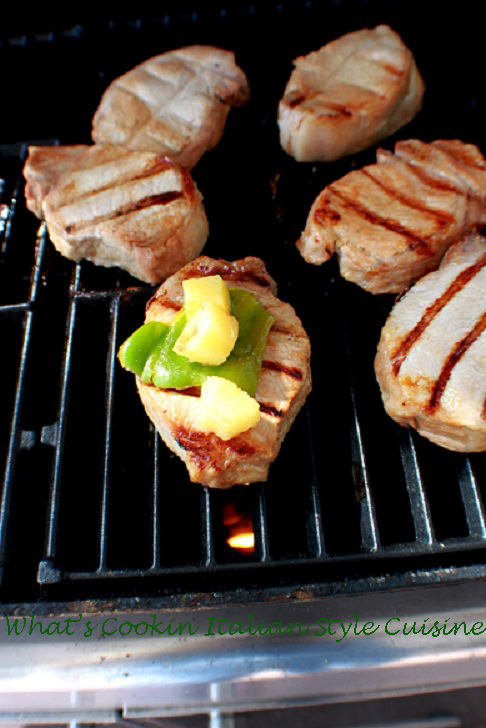 Reserving the marinade, place chops on the grill. Grill pork chops basting with juice. 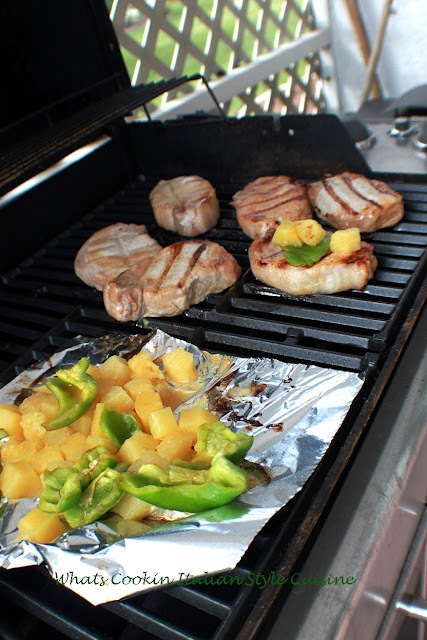 Place the pineapple and peppers on a oil sprayed piece of foil to cook until heated through. Cook the pork until white in center around 400 degree heat for 20 minutes. Serve the pork with cooked white rice. These sound amazing! Putting it on my husbands grilling list!